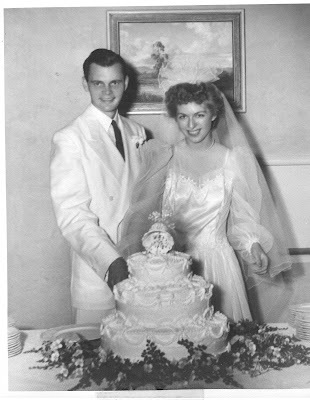 My mother, Betty Virginia (Carringer) Seaver (1919-2002) received a Bachelor of Science degree in Art at San Diego State College in 1940. She was a watercolorist and became a renowned copper enamelist (painting designs on copper pieces, and baking the enamel paint on the copper in a kiln). In and after college, she had a wide circle of sorority friends who all seemed to get married at about the same time. Life for an at-home mother in the late 1940s and early 1950s was a never-ending succession of chores in an upstairs apartment with two active little boys - washing, ironing, cleaning, cooking, shopping, sewing, nursing, helping out at the boys' school, etc. She didn't drive, but did take the bus to go downtown or up to North Park when necessary. The Piggly Wiggly grocery store and the corner drugstore were two blocks north on Juniper Street and she walked to them nearly every day for fresh meat, milk, vegetables and other food items. Cooking was not her favorite thing to do, but it was a necessary task. 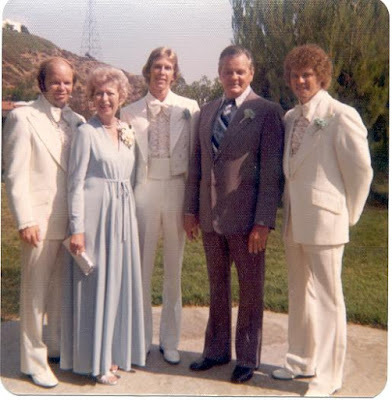 During the early 1950s, I recall that on Saturdays when my dad would take us boys to play baseball in Balboa Park, she would occasionally go off with Dorothy Chamberlain to paint watercolors somewhere in San Diego and have some girl chat time. She also went to Spanish Village in Balboa Park for art classes and to see artist friends. She also had a circle of neighborhood friends and her parents right next door, and would visit with them daily. Then little brother Scott was born in November 1955, and the tasks became more complicated with four males in the house. She always seemed so calm when the inevitable emergencies arose, from the gashes from falling of a bike, separating fighting kids,or a runover cat - she cleaned it up and fixed it and went back to the daily work routine. The Safeway was built across the street and the Piggly Wiggly closed, so shopping was a little easier. As time went on, the family got more appliances - a washer, a refrigerator, a TV, a shower, etc., and their was more time to do leisure activities, she enjoyed reading and having a glass of sherry in the afternoon before the crew came home and disrupted her peaceful time. She never had a dryer in the apartment - it was either the clothesline out the back porch or the laundromat in the next block. Once Randy and Stan moved out of the house in the late 1960s, she converted their bedroom to an art studio. She bought a kiln and started doing her copper enamel work. She was very creative, and specialized in cats and angels. When the grandchildren came along in the mid-1970s, each one received an angel Christmas ornament for the tree each year with their name on it and the year. Each was unique. When her boys got married, the lucky couple received a small copper enamel plate with their names and their wedding date. Fred died in May 1983, and that meant she was stranded. She still didn't drive, but would walk down the hill to Rosecrans to shop or take OASIS adult education courses by taking the bus to Mission Valley or downtown San Diego. She became active in her college sorority and had a fun time going to their meetings and supporting their projects. Her three sons would visit occasionally and take her shopping or for a ride. I am in the 8th great-grandmothers and I'm up to Ancestor #1157 who is Dorothy HEALD (1649-1674) [Note: the earlier great-grandmothers and 8th great-grandfathers have been covered in earlier posts]. 1156. Jonathan Prescott, born 1646 in probably Lancaster, Worcester, Massachusetts, United States; died 05 December 1721 in Concord, Middlesex, Massachusetts, United States. He was the son of 2312. John Prescott and 2313. Mary Gawkroger. He married 03 August 1670 in Lancaster, Worcester, Massachusetts, United States. 1157. Dorothy Heald, born 16 October 1649 in Concord, Middlesex, Massachusetts, United States; died 08 October 1674 in Lancaster, Worcester, Massachusetts, United States. * Samuel Prescott (1674-1758), married 1698 Esther Wheeler (1678-1756). 2314. John Heald, born about 1611 in probably Cheshire, England; died 24 May 1662 in Concord, Middlesex, Massachusetts, United States. He married 03 December 1636 in Alderley, Cheshire, England. 2315. Dorothy Royle, born before 03 September 1615 in Lancashire, England; died 29 October 1694 in Dedham, Norfolk, Massachusetts, United States. * John Heald (1637-1689), married 1661 Sarah Dean (1640-1689). * Hannah Heald (1639-1689), married 1658 John Spalding (1632-1721). * Timothy Heald (1641-1689), married 1663 Sarah Barber (1646-????). * Gershom Heald (1647-1717), married 1673 Ann Vinton (1656-1698). * Thomas Heald (1652-1725), married (1) 1675 Priscilla Markham (??? ?-1712); (2) 1713 Sarah Patch. * Isaac Heald (1656-1717), married 1678 Elizabeth (1660-????). * Israel Heald (1660-1738), married 1686 Martha Wright (1659-1746). * Clarence Almon Torrey, The Heald-Hale Genealogy : John Heald of Concord, Massachusetts, and some of his descendants (six generations) (Boston, Mass. : C.A. Torrey, 1940). * John Brooks Threlfall, Fifty Great Migration Colonists to New England & Their Origins (Baltimore, Md. : Heritage Books, 1992), provides an excellent sketch of the life of John Heald. 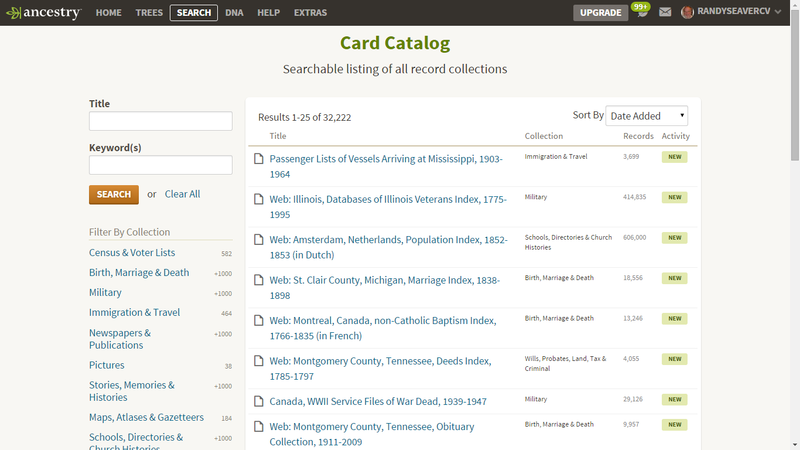 Where Did 567 Databases on Ancestry.com Go? Devoted GeneaMusings readers know that every Sunday night I post a list of new or updated databases found on Ancestry.com for the previous week. 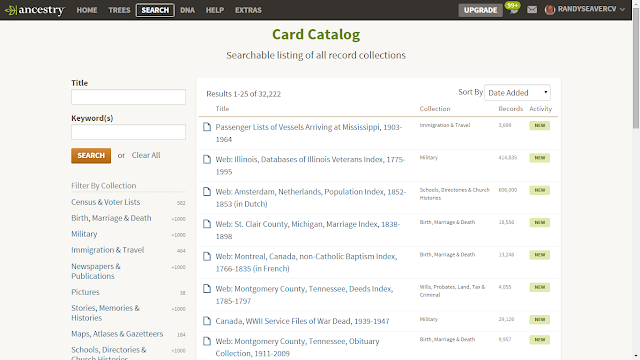 An example is Added or Updated Databases at Ancestry.com - Week of September 6-12, 2015 posted on 13 September 2015. In these posts, I provide a current total number of databases available on Ancestry.com. for last Sunday, the number was 32,782 databases. This number goes up almost every week as Ancestry.com adds new databases - they added 13 new databases for the week last noted. The screen above says that now there are 32,222 databases on Ancestry.com. That's 560 databases fewer than last week, even though they added an additional 7 databases per the Recently Added Collections page since 13 September. So are there now 567 databases fewer than last week? If so, what happened? Did a licensing agreement with a record provider end? Which databases were eliminated? Or is it just a counting mistake? Did someone's computer have a glitch? This sounds like a big deal to me. Were 567 databases removed from Ancestry.com or not? If so, I think we should have a list and an understanding of the reasons. Amos Underhill (1772-1865) is #110 on my Ahnentafel list, my 4th great-grandfather, who married #111 Mary "Polly" Metcalf (1780-1855) in 1801. * their daughter, #55 Mary Ann Underhill (1815-1883) who married #54 Samuel Vaux (1816-1880) in 1839. * their daughter, #27 Abigail A. Vaux (1844-1931), who married #26 Devier James Lamphear Smith (1839-1894) in 1861. * their daughter #13 Abbie Ardell "Della" Smith (1862-1944), who married #12 Henry Austin Carringer (1853-1946), in 1887. W. Bronson Taylor, "Amos Underhill, 1832-1914)," published by the author, Middle Grove, New York in 1968. Josephine C. Frost, editor, "Underhill Genealogy", Volume IV, published privately by Myron C. Taylor, in the interests of the Underhill Society of America, 1932. No records of the birth of Amos Underhill on 15 April 1772 in Chester, New Hampshire have been found in New Hampshire or Vermont. The date was obtained from the Underhill surname books[1-2], and may have been quoted from family papers provided to the author of the book. The 1850, 1855 and 1860 census records have ages that imply a birth year of 1774 or 1775. At age 7, he was bound out to learn a trade, but ran away. B.H. Underhill of Bellows Falls, Vermont states that a great many families from Candia, Auburn and Chester settled in Piermont, and from there easily located in Vermont[1-2]. "March 20th, 1801, Mr. Amos Underhill & Polly Medcalf both of Piermont, were joined in Marriage this day by me, Thomas Russell Justice Peace"
Amos and Polly Underhill had five children in the years between 1804 and 1820, of whom four lived to adulthood, married and had children. In 1811, the family resided in Haverhill, Grafton County, NH. They left in a sledge or pung drawn by oxen and settled in Aurora, Niagara County, New York in 1811. The homestead was first near the end of present-day Underhill Road, and later was on Underhill Road[1-2]. 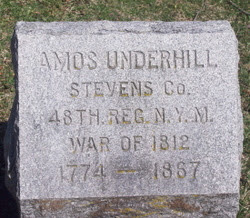 Amos Underhill served in the War of 1812 as a Private under Captain James J. Stevens in Colonel Warren's Company of the 48th Regiment of the New York Militia. When the British crossed the Niagara River in December 1813, the Militia was called out. Every free man was a member of the Militia, and each took his rifle and powder, horn and bullet pouch, and a blanket if they had one, and rushed to Buffalo. After Amos left, Mary carefully hid her dishes in the well. She checked the load in her own rifle. By nightfall she had the oxen yoked to the long sledge or pung. They were backed into the lean-to on the side of the cabin and tied with feed before them. She filled the box of the sledge with hay and put her sons to sleep in it. Through the long cold night she watched and waited with her rifle within reach. She could hear the roar of the cannon and see the glow of fire against the sky. In the first gray glimmer of dawn, she saw a man coming on the road. He turned out to be a neighbor who told her that the town had been captured and burned, and that her husband had probably been captured or killed. She knew the man was more excitable than reliable, so she waited longer. Soon an Indian appeared, who told her the British had captured the town and burned all but seven houses, but they had retreated beyond the Niagara River. He said her husband would be home before nightfall. During the summer of 1814 the Militia was again called out to repel another invasion. The British were beaten back across the river and Fort Erie was captured by the Americans. Amos was again called into Stevens Company of the 48th Regiment of the New York Militia. While aboard a boat ferrying a barge load of hay to Fort Erie to feed the horses in the fort, the British guns opened up on the barge. The boat began to sink, but the men stuffed hay in the shot holes. The barge drifted ashore on the Canadian side, and the men aboard were all captured, including Amos Underhill. He was soon exchanged and returned home. Amos Underhill bought land from John and Eunice Treat in Aurora township for $312.50. The land was one acre and 31 rods in lot 12. The deed was written on 7 March 1827 and recorded on 13 February 1833. On 18 December 1834, Amos Underhill bought 75 acres of land in Aurora town, Erie county in southeast part of Lot Number 21 from Holland Land Company agents for $158.75. On 19 February 1836 Amos and Mary Underhill sold 1 acre and 31 rods of land in Lot 12 in Aurora township to Lorin Philips for $450. * Mary Underhill- age 69, born in New Hampshire. * Don Carlos Underhill - age 14, born in New York, attends school. 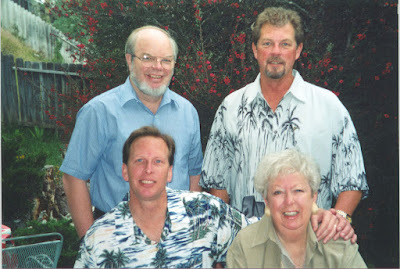 Deloss and Don Carlos are sons of Cyrus Metcalf Underhill, who was deceased. On 19 April 1856, Amos Underhill sold land, the east part of Lot 21 in Aurora, Erie County, New York to Deloss Underhill for $500. On 3 April 1860, Amos Underhill sold 65 acres of land in Aurora town, Erie county in the southeast part of Lot Number 21 to Delos Underhill for $700. * Amos Underhill - age 84, male, born in New York. The Underhill genealogy books provide the death date of Amos Underhill as 15 October 1965[1-2]. 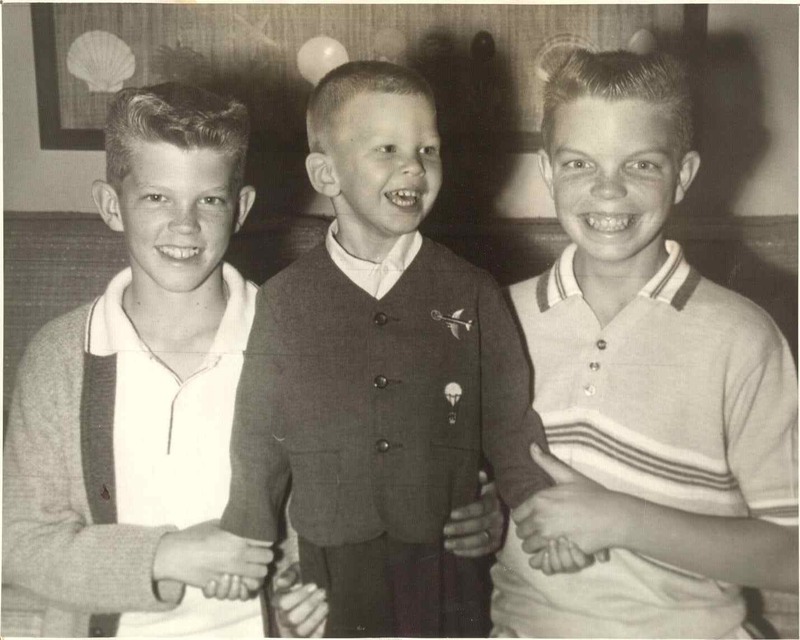 This date may have been provided by a family record or correspondence with a family member. Stevens Co. 48th Reg. N.Y.M. 1. Josephine C Frost, Underhill Genealogy, Volume 4 (N.p. : Myron C. Taylor, in the interests of the Underhill Society of America, 1932). 2. W. Bronson Taylor, Amos Underhill, 1832-1914 ( Middle Grove, N.Y. : the author, 1968). 3. “New Hampshire Marriage Records, 1637 to 1947,” indexed database, FamilySearch (http://www.FamilySearch.org : 2009), Piermont, Amos Underhill and Polly Medcalf entry; citing “Marriage Records.” New Hampshire Bureau of Vital Records and Health Statistics, Concord. FHL microfilm. 4. 1810 United States Federal Census, Grafton County, New Hampshire, Piermont Township: Page 366, Amos Underhill household; digital image, Ancestry.com (http://www.ancestry.com), citing National Archives Microfilm Publication M292, Roll 23. 5. "U.S., War of 1812 Service Records, 1812-1815," indexed database, Ancestry.com (http://www.ancestry.com), New York Militia, Amos Underhill entry; citing National Archives Micoriflm Publication M602, Roll 213. 6. "New York, Land Records, 1630-1975," Church of Jesus Christ of Latter-Day Saints, FamilySearch (https://familysearch.org : accessed 31 January 2013), digital image, "Erie County, Deeds, 1832-1833, Vol. 20-21," Volume 20, Page 240, John Treat to Amos Underhill. 7. 1830 United States Federal Census, Population Schedule, Erie County, New York, Aurora Township: Page 171, Amos Underhill household; digital image, Ancestry.com (http://www.ancestry.com), citing National Archives Microfilm Publication M19, Roll 114. 8. "New York, Land Records, 1630-1975," FamilySearch, Erie County, Volume 19, Page 434, Holland Land Company to Amos Underhill. 9. "New York, Land Records, 1630-1975," FamilySearch, "Erie County, N.Y. Deeds, 1836, Volume 36-37," Volume 36, Page 175 (image 91), Amos Underhill to Loren Phillips, 19 February 1836. 10. 1840 United States Federal Census, Erie County, New York, Aurora Township: Page 243, Amos Underhill household; digital image, Ancestry.com (http://www.ancestry.com), citing National Archives Microfilm Publication M704, Roll 280. 11. 1850 United States Federal Census, Erie County, New York, Aurora Township: Page 102B (stamped), Dwelling #1581, Family #1587, Amos Underhill household; digital image, Ancestry.com (http://www.ancestry.com), citing National Archives Microfilm Publication M432, Roll 498. 12. New York, Erie County Census 1855, 1865, 1875, Aurora town: Page 52 (penned), Amos Underhill household; digital image, Ancestry.com (http://www.ancestry.com), citing original data at Hamburg [N.Y.] Historical Society. 13. "New York, Land Records, 1630-1975," FamilySearch, "Erie County, Deeds, 1858-1868, Vol. 196-197," Volume 196, Page 459-460, Amos Underhill to Deloss Underhill, images 234/235 of 516. 14. "New York, Land Records, 1630-1975," FamilySearch, "Erie County, N.Y. Deeds, 1857-1864, Volume s 206-207," Volume 207, Page 62 (image 348), Amos Underhill to Delos Underhill, 3 April 1860. 15. 1860 United States Federal Census, Population Schedule, Erie County, New York, Aurora Township: Page 463, Dwelling #636, Family #626, Delos Underhill household; digital image, Ancestry.com (http://www.ancestry.com), citing National Archives Microfilm Publication M653, Roll 752. 16. Jim Tipton, indexed database, Find A Grave (http://www.findagrave.com), East Aurora Cemetery (Aurora, N.Y.), Amos Underhill memorial # 35882219.